So you want to learn how to scuba dive… What do I need to know before I go? How do I find a good deal on lessons? And most importantly, what’s the best place to learn? This article breaks everything down for you. Happy diving! You may be champing at the bit to leave for some exotic local and learn how to scuba dive in resplendent blue waters—while winging everything and learning on the fly. Don’t do this. By preparing even a little bit, you can ensure that you have a more successful, safe, and fun trip. Before you dive in (pun!) 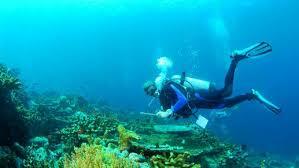 and commit to scuba diving in some far flung location, consider getting your feet wet (another pun!) at a location nearest to you. There’s a lot of online lessons and resources available for free or for a reasonable price. PADI (the Professional Association of Diving Instructors) offers an open water online certificate for $175, as long as you live in the US. By learning as much as you can before leaving for a diving education trip, you can save both money (you won’t have to take as in-depth a course, since you’ve already completed some online classroom lessons) and time, leaving you with more time to enjoy diving at your chosen destination. Also, knowledge will always help you in any endeavor. If you’re not able to take an online course, bone up on the subject by reading articles (you’re reading this one, so you’re off to a good start! ), check out a book at the library, or go in to your local dive shop and pick the brain of someone there. The more you know! Caveat emptor is Latin for “buyer beware.” This was a good lesson to learn in ancient Rome, and it applies doubly to the world of dive instruction. My advice is simple: diving is a potentially lethal activity, and you should approach learning it with the utmost caution. The skills you learn in a course and the gear you use could keep you alive or they could kill you. When choosing a vendor with which to learn to dive, don’t be stupid and don’t be cheap. If you’re seem to be getting a deal too good to be true, you’re probably end up with a disreputable vendor who will endanger you by teaching you poor technique and giving you bad gear. This is especially true in foreign countries you’re unfamiliar with: many scuba diving destinations are tourist traps where local hustlers find their marks in unsuspecting travelers. 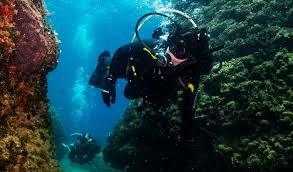 With scuba diving, it really is worth it to pay more for a reliable and reputable dive company. Do your research before you head on your trip. Look up online reviews, send out emails to companies that seem promising, and trust your gut on which companies seem to be the most reliable. This is almost certainly the cheapest option available to you. If you’re one of the lucky ones to live close enough to a dive area that you can drive to, why would you want to dive anywhere else? It might be a dim, dank backwoods pond (and not a tropical paradise like you were hoping!) but it would still be the easiest and most efficient way to learn how to dive. By learning to dive close to where you live, you will become familiar with the character of your local waters and the local dive community—where you will be diving most often, if you stick with the sport. It might be tempting to go someplace with a reputation for great diving, but remember that diving for many people is a lifelong passion. It’s an activity that you can turn to constantly to renew your wonder for the nature world and just have fun. 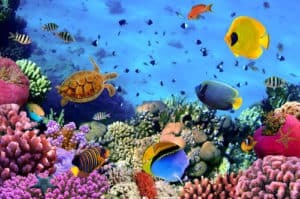 If you end up sticking with diving, those exotic diving areas will always be there for you to go to—and anyways, it would be better to visit them after you become a competent diver. To find a local dive spot, look online. Adventures365 and PADI are good resources. Now if the last section didn’t dissuade you from choosing someplace close to you (or perhaps for you, Thailand is close) this is one of the premier spots in the world for diving. Learning to dive here would be like learning to rock climb in Yosemite Valley or learning to bake bread in France. It’s one of the best in the world. Among Ko Tao’s many attractions for a diver: it’s one of the only places in the world to dive next to whale sharks. It’s also diveable year round, although many dive shops will close during the winter. 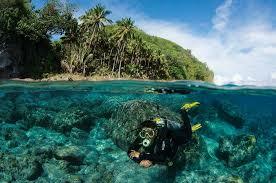 Like the last location, the Visayas in the Philippines is one of the premier dive spots in the world. 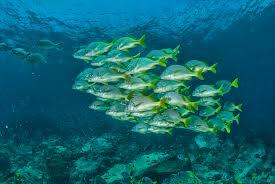 It has one of the most diverse array of marine life on the planet, in addition to a stunning complement of coral. In addition to its natural wonders, the Philippines also is a fairly cheap place to travel in. Reasonably priced accommodations and scuba lessons can be found. Santa Cruz is also a fairly cheap place to travel to and learn how to dive. You won’t be breaking the bank while you dive next to an immense number of different fish, rays, and sea lions. 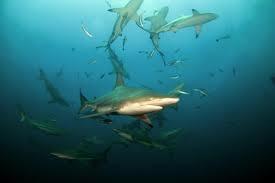 Just watch out for the native hammerhead sharks! They’re (supposedly) friendly.